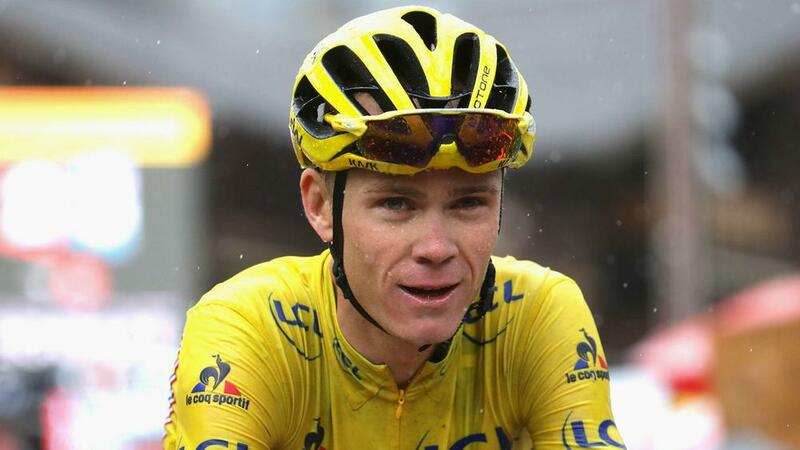 Chris Froome described his impending third Tour de France win in four years as an "amazing feeling" following Saturday's penultimate stage. There had been concern for the Team Sky rider on Friday when he was involved in a crash, although it did not turn out to cost him any time in his general classification lead. Froome came into Saturday's 146.5-kilometre stage between Megeve and Morzine holding an advantage of four minutes and 11 seconds. In a stage won by Movistar's Jon Izaguirre, Froome's lead was cut by six seconds as Romain Bardet gained back some time, but nowhere near enough to deny Froome a hat-trick of Tour triumphs. "I'm pretty sore, all my knee and my back, but my legs were better today than yesterday after the crash," Froome said. "I had that four-minutes gap to play with. It gave me a breathing space. I just had to stay in front. "It's a huge relief to cross that finish line. The last 24 hours have been pretty chaotic but my team-mates helped me so much to keep the yellow jersey on my shoulders. "It's an amazing feeling [to win the Tour]. It could be like the first one again." Meanwhile Movistar's Nairo Quintana, third in the GC standings, conceded Froome had proved too good over the Tour's entirety. "I finish very happy. Three Tours, three podiums, it's a lot of joy," he said. "I must be happy with this third place. I suffered from allergies but I felt better in the last couple of days. "I thanks all the Colombians and the fans who were behind me, they were a great support on this Tour. "But Chris Froome was too strong. It's the third time I lose against him but I'm still happy with our team showing on this Tour and the whole of the season. We showed we were one of the best teams in the world. Now it's time for Paris and celebrations."